The Northern Ireland destination will next year become a UK City of Culture, which will see £200m invested in its infrastructure, new visitor attractions, increased accommodation, additional creative arts and event venues, and a year of festivals and cultural events, including the Turner Prize. The decision was announced at ABPCO's 25th anniversary conference at the Barbican in London in January. 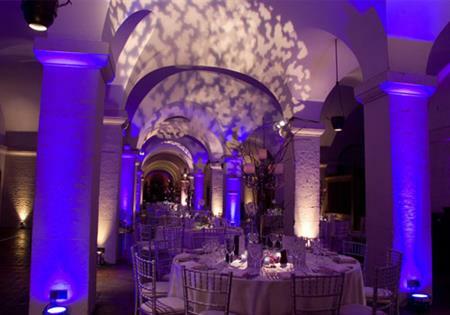 The event also saw ABPCO's first-ever awards, held at a gala dinner in St Paul's Cathedral. Sarah Storie-Pugh, chairman of the International Association of Professional Congress Organisers, received the Lifetime Achievement Award, while Annie Metcalfe of Leeds Met won the coveted Student Award in recognition of academic excellence. The ABPCO 'One to Watch', which recognises innovative best practice for someone in the early years of their career, was presented to Catrina Foley of MCI Glasgow. Michael Foreman, chair of ABPCO, said: "The association has always stood for excellence in conferencing and events, and the winners of these awards have been recognised for outstanding contributions in their respective categories. "We received some excellent nominations for the awards, and the winners should be proud of their achievement in receiving these accolades." Should associations choose Derry - the UK Capital of Culture 2013?